Train articulation skills while playing your favorite card gamesdeal a hand of Go Fish, Crazy Eights, or War. 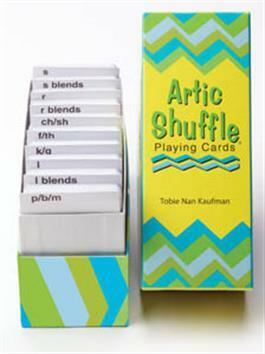 Artic Shuffle consists of ten card decks with 520 unique picture cards. Each deck has four suits and is numbered like playing cards (52 picture cards and two joker cards).